What a versatile and - gasp - comfortable gown! This flowing number, which is *narrow* only in the shoulders and bust, is ideal for any spring or summer party, wedding, or even just doing the laundry in serious 60s style . . . Please scroll down to see images of the 1960s Crepe Drape Grecian Gown with Button Detail modeled and in greater detail. Colors: Lime underlay with turquoise overlay. 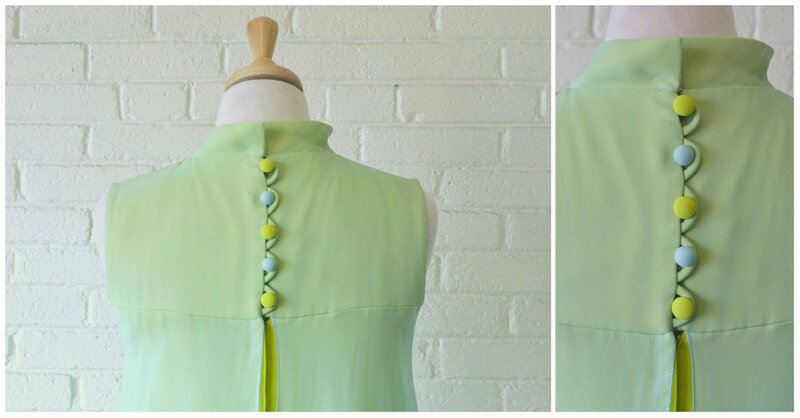 Closures: Single back zipper that leads to five adorable fabric buttons, with a hook-and-eye closure at the neck to tie the whole thing off. This dress is the perfect combination of feminine and flowing and makes for quite cozy formal wear! The overlay is open over the zipper as part of the design. Please see the image of the back of the dress below. 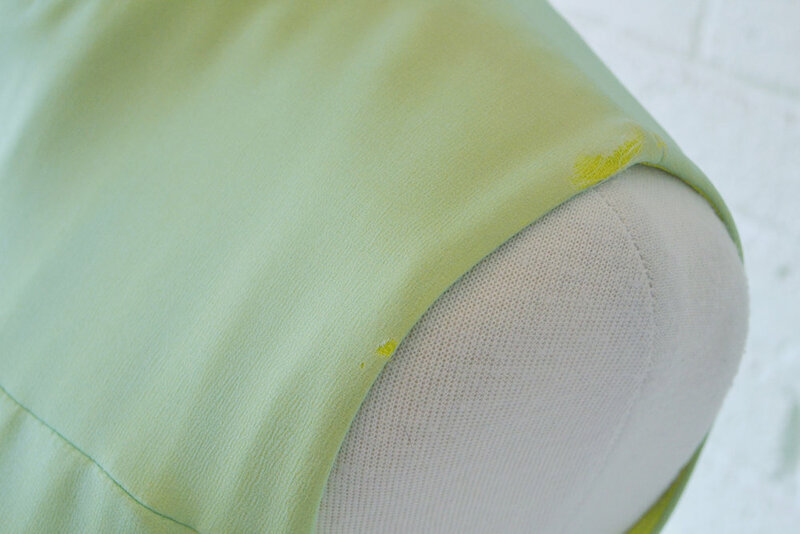 There is some non-seam tearing of the overlay around the collar and shoulder area. Please see the images below for details. A hand repair has been made to the bottom hem. Much as I have tried to iron and steam the collar down, she's a bit stubborn! I will certainly give it another few attempts to further flatten the collar out before shipping.